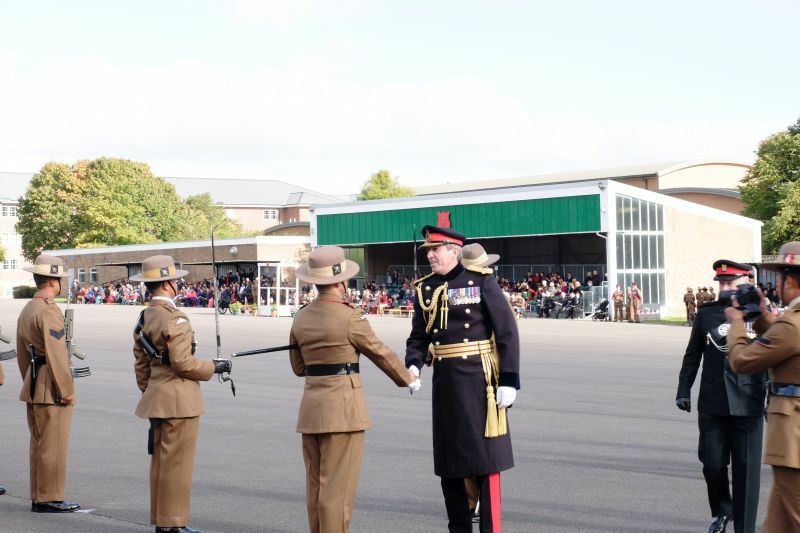 Today was the pass out parade for Gurkha Company Recruit Intake 2016 and it was held at the Infantry Training Centre in Catterick, North Yorkshire. This event marked the end of a 9 month training cycle for 240 young soldiers. 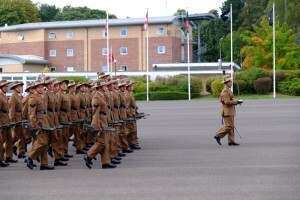 To deliver trained Gurkha soldiers in order to meet the operational requirements of the Brigade of Gurkhas. 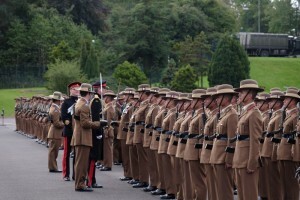 Gurkha Company currently has 71 permanent staff. It is responsible for delivering the 39 week long combat Infantryman’s Course (Gurkha). All Gurkhas serving in the British Army are trained by the Gurkha Company to become infantrymen first. This provides the Brigade with an agile edge. 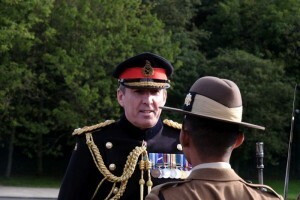 The inspecting officer was Lieutenant General J I Bashall CBE, Commander Home Command and Standing Joint Commander (UK). He thanked all the families and friends who made the journey to be at this special occasion; many of whom had travelled long distances to be there. General Bashall said; “I took the salute at the attestation parade on 2nd January 2016 in Nepal. Now 9 months on, the journey that has taken you from Pokhara as selected Trainee Riflemen to Catterick as Trained Soldiers has been realised. It is a proud moment for you all and something I feel privileged to be a part of. The next phase of your career as a soldier in the British Army is ahead of you and is your chance to put all you have worked for and learnt into reality. Many of you have already battled through adversity in light of last year’s earthquakes which are still very fresh in everyone’s minds. I know many of you will have been personally affected by this tragedy. Your on going support to your families back home has been unwavering and I know you have participated in events such as the Great North Run to help raise money to rebuild the lives of those communities affected. Put your heads down and continue to soldier to the best of your ability. Master the basics, bring honour to your family and regiment and never forget where you come from. We, the British Army and the wider British public, owe you and your country a debt of gratitude.